Pretoria, South Africa, 5 July 2017. 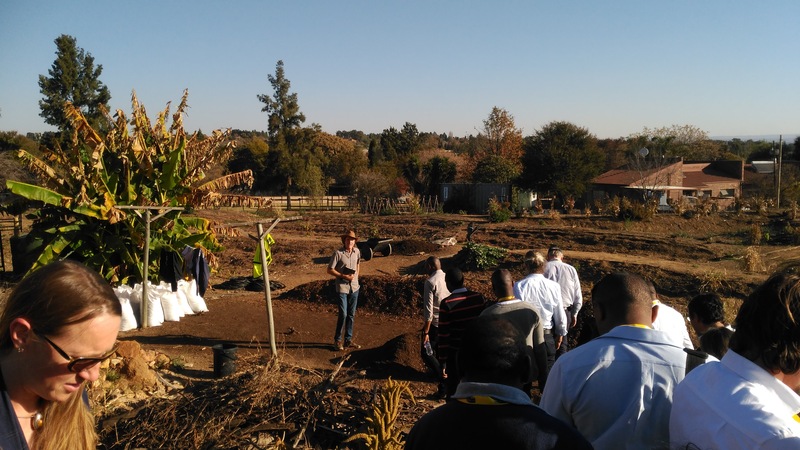 The Sustainable Food Systems (SFS) Programme held its first global conference on 21-23 June, 2017, in Pretoria, South Africa, driven by the urgency of the challenges that we face in our food systems and by the pressing need for support to deploy systems-based solutions provided by the Programme’s vast network of partners. The aim of the conference was to provide a dialogue platform to consolidate collaborative initiatives, jump-start new alliances, and empower organisations in the effort to accelerate the shift in food systems. 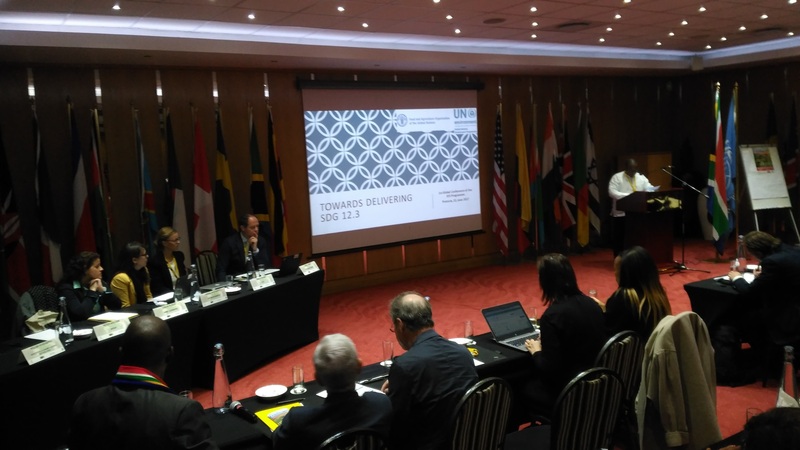 The conference was hosted by South Africa’s Department of Trade and Industry and drew over 150 participants from 28 countries, spanning governmental representatives, national and regional organisations, private sector, civil society organisations, UN agencies and research institutions. It was made possible with the support of FAO, Hivos, Nestlé, The Netherlands, the City of Tshwane, Switzerland, UN Environment, and WWF. The resolution is a call to provide appropriate food policy environments backed with investment and means for implementation. It recognises that addressing the heavy burden of malnutrition is the priority entry point into shifting the currently unsustainable food systems. Further exploring the complex relationship between food security, nutrition and sustainability, with the aim to promote the transformation towards more sustainable food systems. Fostering collaborations to assess value chain priorities and to develop platforms for sharing best practices for developing participatory systems. Expand the SFS Programme network to achieve a more balanced representation of stakeholders, especially more actors from Africa and Asia. Increasing the number of countries with strategies, policies and programmes to reduce food losses and waste, in order to meet SDG target 12.3. Supporting the shift from subsistence underperforming production to sustainable production, using innovative technologies, approaches and incentives which are locally adapted. 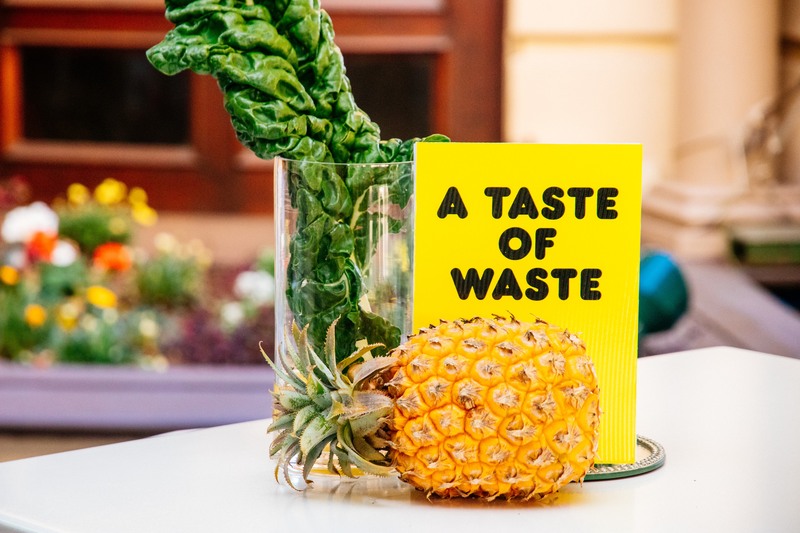 Conference participants were provided with “A Taste of Waste”during an informal networking dinner prepared by the conference organizers. Johannesburg's Coobs Restaurant's head chef Rausharn Griffin together with Marble restaurant's Head Chef David Higgs as well as the Sheraton Hotel's Alex Coupy prepared delicious gourmet meals from the scraps and discards of local markets and supermarkets, all graciously orchestrated by SA Harvest (OZ Harvest). On the second day of the conference, participants were asked to “switch from conference mode to learning journey mode”. These journeys, aimed at challenging perceptions and perspectives, sent conference participants on different missions: visiting farms with sustainable production practices; checking out informal town markets and giant shopping malls; navigating the corridors of a state of the art retail center. The conference’s last day offered a high level keynote address by Bulelani Gratitude Magwanishe, Deputy Minister of Trade and Industry, Republic of South Africa, who reminded participants of the Greek physicians Hippocrate’s maxima 'Let food be thy medicine, and medicine be thy food’. Good inspiration from a pioneer of systems-based approach. A final panel had the participation of H.E. Bernard Lehmann, State Secretary for Agriculture, Switzerland, who presented our food system as a complex multi-stakeholder knowledge system that has to become more efficient, however not through simplification but by embracing its diversity and collectively learning from each other’s experiences. In addition to the contributions on the discussions focusing on the SFS Programme’s core initiatives, the conference enjoyed several side events and inputs from other actors, including among others IPES Food’s recently launched report “From Uniformity to Diversity”; the GEF's presentation on their food-system related program planned under the 7th Replenishment round, and the Global Alliance for the Future of Food’s session on Health Impacts of Food Systems. Altogether the conference offered participants a great platform to share knowledge and experiences, encouraging them to transition into a crafting and decision-making mode. The consensus that there is a dire need to start acting today rather than tomorrow was widely shared among delegates. Equipped with a UN mandate as part of the UN 10-Year Framework of Programmes on Sustainable Consumption and Production (10YFP) and providing a multi-stakeholder mechanism for the implementation of the 2030 Agenda on Sustainable Development (in particular achieving SDG 2 and SDG 12), the Sustainable Food Systems Programme actors seem well placed to accelerate the shift towards more sustainable food production and consumption. Conference Poster - Click to download! The theme of the conference was “Sustainable Food Systems for all – Catalyzing Change through MultiStakeholder Action”. The conference explored innovative multi-stakeholder approaches to tackle food systems challenges in general, and discussed the need of ensuring sustainable food systems in the face of a changing climate and growing urbanization in the African context more specifically. A high level panel discussions was chaired by Ms Ncumisa Mcata-Mhlauli, Chief DirectorAgro-Processing, Department of Trade and Industry, Republic of South Africa, and with panelists Mr. Lê Quôc Doanh, Vice Minister of Agriculture and Rural Development, Vietnam (tbc); Ms. Carol Gribnau, Director Green Society Department, Hivos; Prof. Bernard Lehmann, Director General, Federal Office for Agriculture, Switzerland; Mr. Morné du Plessis, CEO, WWF South Africa; Mr. Lewis Hove, FAO Representative in South Africa. Lay the foundations to kick-off cooperation on collective action(s) and initiative(s) to address the critical challenges in food systems and accelerate the shift to sustainability. The conference provided a spring-board to jumpstart new collaborative initiatives and consolidate existing alliances, and empower organizations to take action and achieve a real impact to accelerate the shift towards more sustainable food systems.